A San Jose neighborhood is angry following the death of a puppy involved in a hit and run Thursday. Robert Handa reports. A San Jose neighborhood is angry following the death of a puppy involved in a hit and run Thursday. Brownie, a Chihuahua mix, was hit by a driver in a silver Ford Mustang Fastback as he ran on to the street near Downtown. The neighborhood association has complained to the city about speeding traffic in the area, and they say it was a contribution to Brownie’s death. "Actually walking up to him to grab him., that’s when it hit me," said Monica Vega, Brownie’s owner. "It was like 'oh my god, it’s my dog, he’s dead.'" Brownie was in the Vega family for seven years. "It’s obvious from the videos that they knew they'd run over something with both the front and rear tires," said neighbor Jeff Levine. "So it’s nothing they can say 'oh I didn’t realize I'd hit anything.' It’s cowardly. It’s disgusting." More than one million dogs are reportedly killed nationally every year, but many people, including Brownie’s family, aren’t aware of the law of pet hit and run. In California, a pet dog is a living piece of "property," so a driver is legally responsible to try to find the owner, or leave a note. A misdemeanor conviction could mean a $1 thousand fine and up to six months in jail. Brownie’s family plans to pursue the driver. 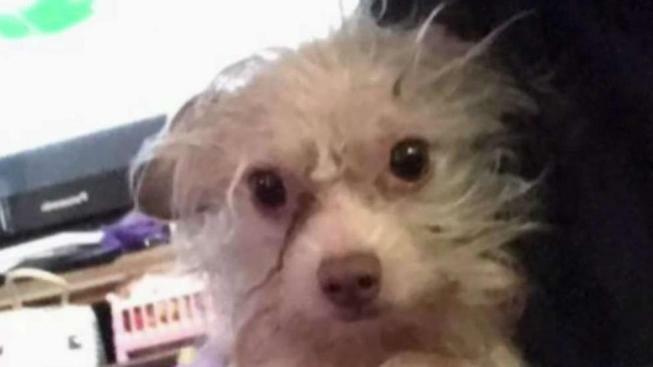 "We’re going to try to do it, but for now we’re focused on trying to call places to cremate him and basically put him down, make sure he’s happy," said owner Jose Garcia.